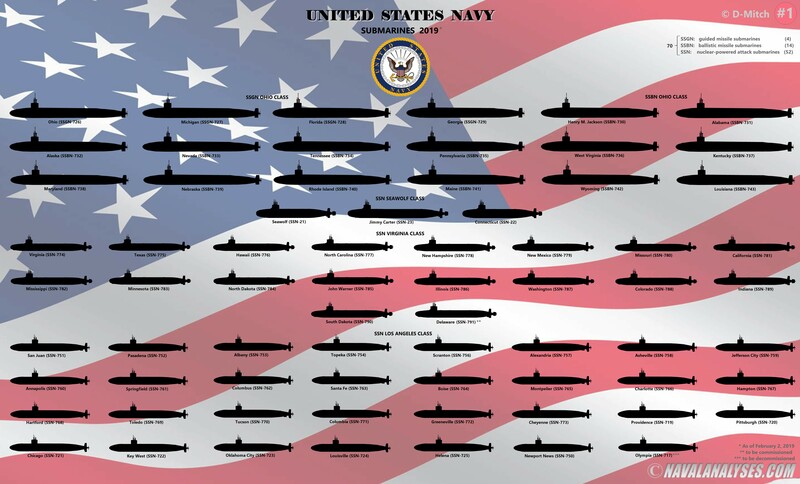 In the following infographic, The United States Navy Submarines in 2019, I depict all the submarines that are in active service with the United States Navy in February 2, 2019. Currently, the United States Navy operates a massive amount of powerful nuclear-powered submarines, consisting of 14 Ohio class ballistic missile submarines (SSBN), four (4) Ohio class (modified) guided missile submarines (SSGN), three (3) Seawolf class nuclear-powered attack submarines (SSN) (including the modified USS Jimmy Carter SSN-23), 17 Virginia class SSN while one more will join the fleet, 22 Improved Los Angeles class SSN, and 9 Los Angeles class SSN. There is only one vessel from the Los Angeles class Flight I & II in active service, and will stay as such for limited time, the USS Olympia (SSN-717). 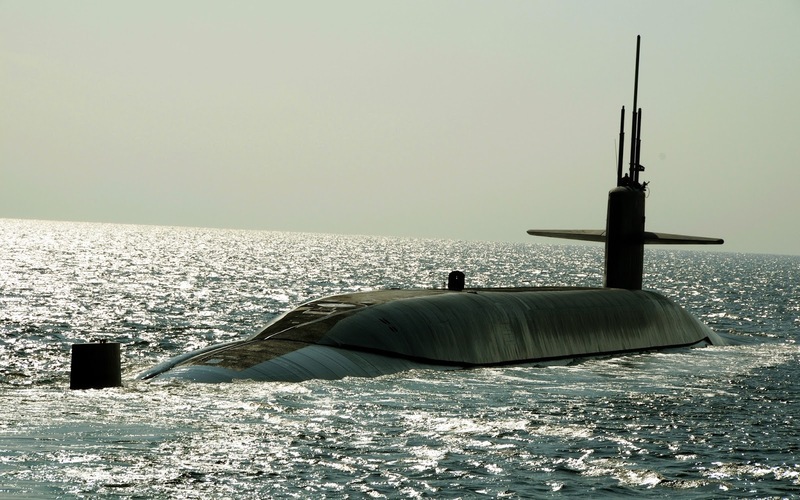 This year, one Virginia class SSN is scheduled to join the fleet, the USS Delaware (SSN-791). This vessel will be the last of the Block III while a new Block IV that will consist of ten (10) boats is under construction. It should be mentioned that all the boats are nuclear-powered. The United States Navy submarines in 2019. For a high resolution image click here. Inverted-Bow Warships Back in the Aegean Sea?